“We disagreed all our lives, about politics, about literature, and I feel as sad as if I just lost a beloved older brother. RIP Vidia,” he tweeted. Indian Prime Minister Narendra Modi said his death was a “major loss to the world of literature”, despite the controversy he stoked. 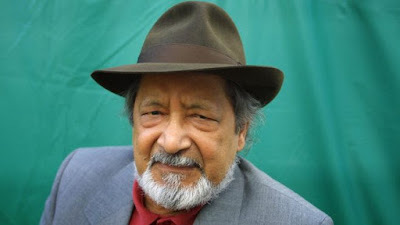 Naipaul was best known for works including “A House for Mr Biswas”, which partly drew on the experience of his father, and his Man Booker Prize-winning “In A Free State”. He once declared that he was without rival, dismissing many of his fellow writers — and all female ones, who he said were “sentimental”. He stirred controversy in India in 2004 by supporting the 1992 destruction of a mosque by Hindu zealots that led to nationwide riots. “Sir VS Naipaul will be remembered for his extensive works, which covered diverse subjects ranging from history, culture, colonialism, politics and more,” Indian PM Modi said on Twitter. The president of India, Ram Nath Kovind, added that his books were a “penetrative exploration of faith, colonialism and the human condition, in his home in the Caribbean and beyond”. William Dalrymple, an author and historian who contested Naipaul’s defence of Hindu nationalism in India, called him “a giant among us”. “Even if you disagreed with much that he wrote, particularly about India, you couldn’t help be stimulated, influenced & catalysed by the brilliance of his laser sharp vision,” he tweeted.